OUR OTHER CURRENTLY FEATURED BOOK, “RARE ATMOSPHERE” BY RACHELLE ROGERS, CAN BE FOUND BY SCROLLING DOWN BELOW THIS POST. 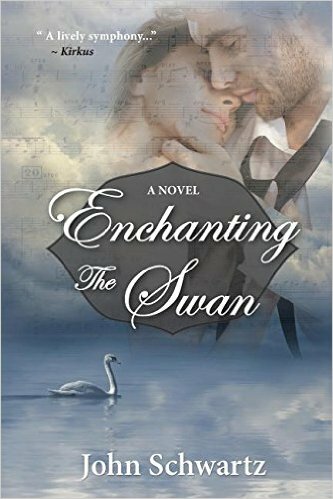 THE BOOK: Enchanting the Swan. SUMMARY: A graduate student who is a classical pianist loses his ability to perform when his musical soul mate marries someone else. When her marriage crashes he risks all to renew their love for each other and for their music. THE BACK STORY: Paul, classical pianist and MBA graduate student, meets cellist law student Fiona, at the College of William & Mary and starts playing beautiful music with her. When they perform The Swan by Camille Saint-Saëns on the occasion of William & Mary’s Charter Day, their love is sealed forever and they agree to marry after graduation. But Fiona’s reactionary godparents object to her marrying Paul and command her to come back home to Brussels. Paul visits her in Brussels, but Fiona feels obliged to break their relationship because of the wishes of her deceased parents she marry into her Belgian social circle, unaware of her godfather’s real intentions. Heartbroken, Paul leaves for Geneva to start his banking career, but gets entangled in a dramatic banking fraud and is forced to return to the USA. There he finds Fiona physically and psychologically abused and on the verge of utter despair. Paul endeavors to restore their love but faces harrowing obstacles. The Godfather and her husband diluted her trust fund by speculating in stocks with her money that backfired during the dot.com collapse in 2001, and Paul sues them to restore her financial wealth. Fiona is psychologically distressed and finds it difficult to restart their relationship and musical engagement, but Paul tries hard using friends of the New York Julliard School to practice with her. Her husband, even though divorced, keeps stalking her while settling his company’s stock losses. A loud bang sounds when he fights in her house. Will Paul and Fiona ever play The Swan again in peace? WHY THIS TITLE: The title depicts the hero and heroine falling in love while playing The Swan by Camille St. Saëns. WHY SOMEONE WOULD WANT TO READ IT: It is a moving love story of two students-musicians who face harrowing obstacles in their relationship and must overcome them to reunite. AUTHOR PROFILE: John Schwartz, born in Amsterdam, Holland, studied political science and economics in Louvain, Belgium, and in Paris at the Sorbonne, and followed a long career in international trade in Geneva at the GATT/WTO, and in economic development at the World Bank in Washington D.C. After formal retirement, he functioned for many years as a senior international consultant, traveling worldwide. 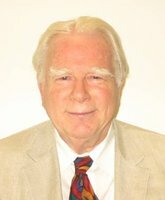 He now resides as a writer in Virginia, is married with two children and two grandchildren, and blogs at his website johnschwartzauthor.com. So far, he has published, in 2015, a memoir/coming-of-age story of John van Dorn, Some Women I Have Known; a novel entitled Enchanting The Swan, and Maarten Maartens Rediscovered – The most popular Dutch Author Abroad, a non-fiction summary of the fourteen novels and four volumes of short stories, with excerpts, written by his grand-uncle Jozua Marius Willem van der Poorten Schwartz, who wrote under the pseudonym Maarten Maartens at the turn of the 19th and 20th century. All three books received encouraging Kirkrus Reviews. I ran up the stairs and called out for Fiona. A small ceiling light was on in the hall. The air-conditioning was off, and the air hung heavy and stale, so different from this morning when our place was super-charged with energy, excitement, and anticipation. In the bedroom, the sheets lay folded on the mattress. The shower stall in the tiny bathroom was wet, and a damp towel lay in the sink. An array of brown boxes and furniture stood center stage in the living room. No shipping labels attached. Her cello was gone. I’d expected Fiona to still be cleaning, her ebullient brown hair in disarray, a wrinkled T-shirt hanging half out of her jeans, sweeping up the last bit of trash strewn over the floor, looking at me, enthusiastic about our move, our future together. Her wall phone still worked. I called the Williamsburg Hospitality House where her aunt and uncle, Lady and Henry Van Buren, were staying. I’d met them yesterday, on Sunday, at the graduation of William & Mary’s great Class of 1999 and was almost certain Fiona was with them. But no one picked up. I drove to the hotel and found them sitting in the lobby with my mother. No Fiona. They looked at each other. “She’s left for Brussels,” her uncle said, lifting his arms in frustration. “Brussels?” I dropped down into a chair. “When did she leave?” I asked, feeling drained. “Around 1:00 p.m.,” Henry said. Fiona had been so euphoric that Jones Day New York had hired her, while I was practically assured of a career there with Morgan Stanley. Everything seemed ready for us, find friends to form a quintet, and mix work with music. My insides turned to concrete. The celebratory melodies of The Swan we performed yesterday at the graduation ceremony suddenly turned into Grieg’s Ase’s Tot. Lady Van Buren and Henry stayed silent, looking embarrassed. Had she? She’d never showed anything close, not in her demeanor or in her sometimes cynical remarks. My mother must have forgotten what it was like to be in love and share that deep emotion night after night. Still, her supposition unsettled me thoroughly. Was Fiona copping out? “Did her godfather ever say anything about that?” my mother went on with her inquisition. “He’d apparently been making objections,” I admitted. Fiona had once said that her godfather had a compelling influence over her because of her parents’ wishes about her future. What did her godfather tell her in that phone call? Had he threatened her with her parents’ testament that she be groomed to marry someone from their own circle in Belgium, no foreign intruders? But Fiona had rejected all that. “Well, if she loves you and has any character, she’ll tell her godfather goodbye if he disagrees and come back,” my mother said in her usual stoical manner. “We’ll send her belongings to Old Westbury as we had agreed,” said Henry Van Buren. Belgium had won the class war so far, or so it seemed. Fiona Baroness de Maconville, my love and bride to be, was gone. How would I get her back with her nobility clan pulling the strings? Would she burn the ships and return to me? Having an open return ticket was no guarantee. I slipped the paper into my wallet as if it were a leaf of gold. Practical Mom. Always keeping her cool in a terrible situation. “I’ll be glad to take care of it if you tell me where to send it, Madame,” I said, the hollow hole in my stomach growing larger and larger. She penciled down their address. It said Vice President, Goldman Sachs. The next time I was in New York, I would. But I wouldn’t be going there without Fiona.